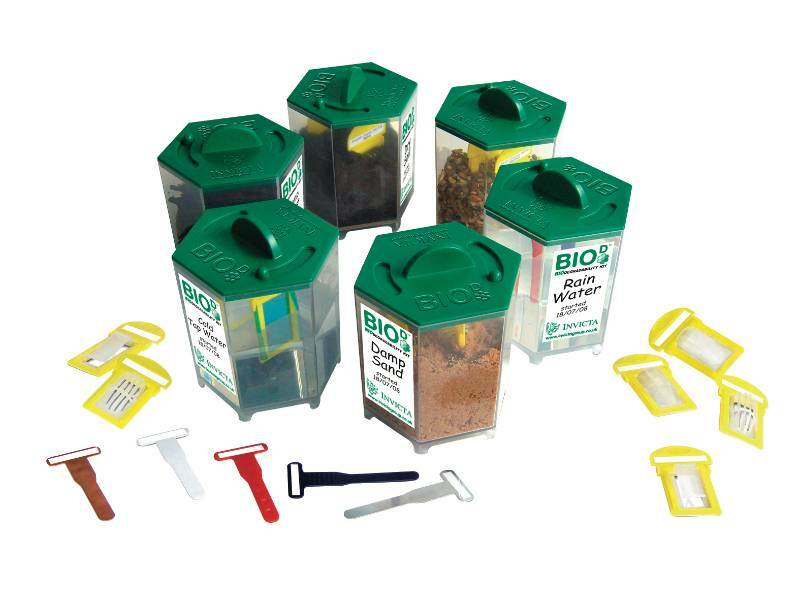 This innovative environmental science kit allows teachers and students to conduct experiments in the biodegrading of various materials in compounds and liquids of their choice (not supplied). Includes six specially designed containers and clips and cages to hold the materials in place, along with metal, paper, and biodegradable plastic samples and a project work book. Students can be encouraged to bring their own materials to conduct experiments and observe the amount and rate of degrading over time, using differing materials and liquids. Special containers are 5 ¾ high and 4 ¾ across.